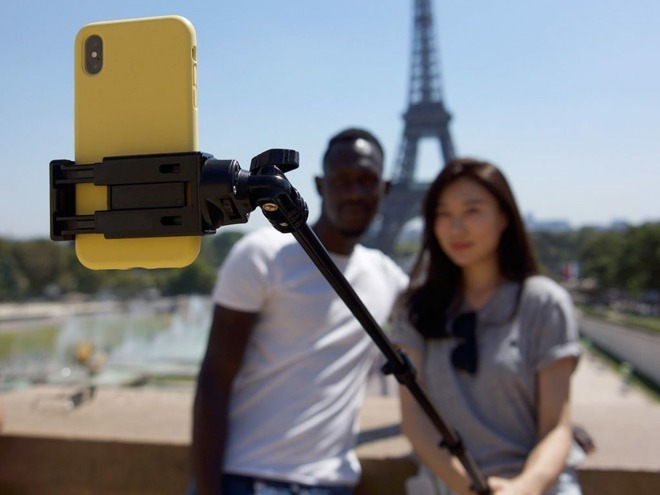 DxOMark on Tuesday published its first-ever test rankings for smartphone selfie cameras, putting Apple’s top-end phone, the iPhone XS Max, in just fourth place. The XS Max “produces some of the best still image and video quality” under bright lighting, but does worse than rivals under dim conditions with bad noise and texture, DxO said. The product achieved an overall score of 82, barely avoiding a tie with Samsung’s Galaxy S9 Plus. Surpassing the Max were the Google Pixel 3 and Samsung Galaxy Note9, tied with 92, and the Xiaomi Mi Mix 3 at 84. DxO observed that while the Pixel 3 shows superior focus technology, the Note9 generates better color and exposure results. Most phone makers tend to deemphasize their front-facing cameras, working on the assumption that people shoot far more photos with rear-facing modules. That’s in evidence with the XS Max, which for instance has twin 12-megapixel sensors on the rear — one for wide-angle shots, the other for telephoto — but a single 7-megapixel sensor on the front. The XS and XS Max share the same camera technology, the only major differences between the phones being their screen size and resolution. DxO has yet to rank the iPhone XR. It did however test 2017’s iPhone X, assigning it a score of 71, below some other older smartphones such as the Pixel 2 and Galaxy S8. Apple has long used photo and video quality as selling points, but improvements by Google and Samsung have made it harder to differentiate itself.